White, Single Weave, 350gsm Rice Grain, 100% cotton. 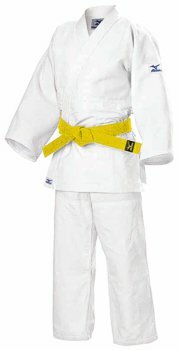 A beginners lightweight Judo suit. Elasticated waist up to size 150cm. A light and flexible judogi suitable for juniors, or adults looking for a lightweight, comfortable gi for gentle training or coaching. Also popular for Aikido and traditional Jiu Jitsu. Shrinkage: the soft cotton of the Kodomo can shrink up to 40mm on the sleeves if washed correctly. These arrive over-sized to accommodate the shrinkage. Available in sizes 110cm to 190cm.